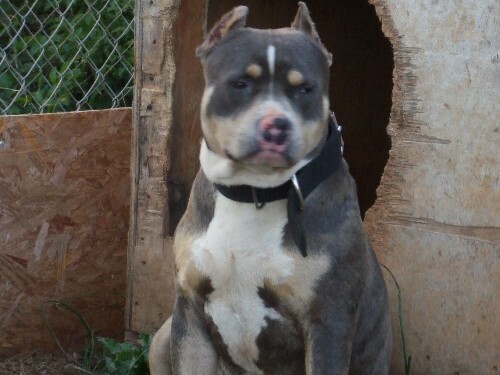 House of Blues Deuce was bred to H.O.B'S Lady X , pups are HERE !!! We now accept pay pal. On all Pay pal accounts we have added 3% for processing fees. 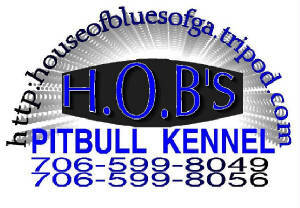 Welcome to House of Blues Pitbull Kennel. We are a small and upcoming kennel located in Lavonia Georgia. We breed for color, size, and temperment. We also breed for quality not quanity. All of our dogs are registered UKC. All of dogs are family oriented and have been raised and handled with our two boys. 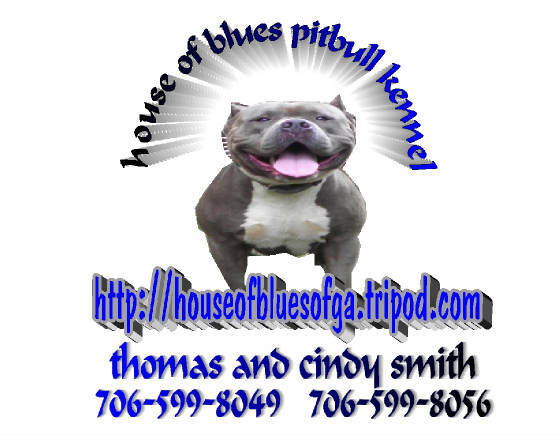 House of Blues DOES NOT condone fighting and none of our dogs are sold for illegal purposes!!! Thank you for visiting us and we hope you enjoy the site.